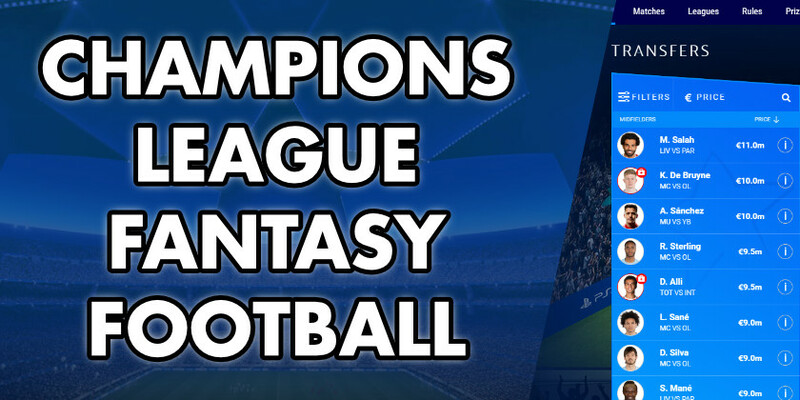 Champions League Fantasy Football is Back! The most popular fantasy football game is Fantasy Premier League. However, that doesn’t mean the start of the official Champions League fantasy football game isn’t a welcomed distraction. We go over the main differences between the two variants of fantasy game focusing on the strategic differences between the two. For those doing this year’s Champions League Fantasy Football game, here is the league code to join the Fantasy Football Pundit league! Substitutions play an imperative role in the Champions League fantasy game. It can’t be overstated how important this is to have a successful team. Automatic substitutions will still apply when a player in your starting 11 doesn’t play. Substitutions play a far less important role in Fantasy Premier League as they are automatic. They only apply when a player doesn’t play. Champions League fantasy football works very differently. At the end of a single day’s play (an actual day) you are allowed to make substitutions. This allows you to switch any player (unless they have been sent off) with a player from your bench who hasn’t yet played. Obviously this gives you the opportunity to transfer out players who under-performed in terms of points. Naturally players who are substituted out will score 0 points and they will be unable to be put back in your team for that round. Managers who utilise substitutions effectively will undoubtedly have the most successful teams. The group stage matchdays are divided into two – Tuesday and Wednesday night games. Groups A to D take place on one of those nights with groups E to H taking place the other. This means you can pick “riskier” players from teams who are playing on the first night. This is because you are able to transfer them out if they don’t perform yet get to reap the benefits if the differential does perform. This strategy allows you to take greater risks with players playing on the first night of a given matchday. It also makes sense to have your team divided fairly equally between the two nights. This won’t always be possible though due to the groups switching over between matchdays. Pro tip: make sure your two goalkeepers are playing in different matchdays. One of your goalkeepers should be from groups A to D and the other E to H. This allows you to see how your first goalkeeper does and ensures you have the opportunity to replace him. Captains work the same work as substitutions do. Between days you can change your captain. Therefore, in the case of matchday 1, you can choose a captain from any team in groups A to D, and if you want to, can change your captain to someone who plays on the second day (groups E to H). This will also play a vital role in a successful Champions League fantasy team. Don’t get too greedy though! You can share your thoughts and own strategies with us on our Social Media channels here: Facebook, Twitter, Instagram and Google Plus. Fantasy Football Pundit provides gameweek analysis, accurate team news, best captain choices, strategy and discussion to get you ahead in FPL. Limitless Wildcard – What Is It?